There’s been a lot of great casting news for the MCU lately. Black Panther is looking to be one of Marvel’s most exciting films with talent like Michael B. Jordan and potentially Lupita Nyong’o, and Thor: Ragnarok is no different. Not only does it have the returning fan favorite in Tom Hiddleston’s Loki, but it also has Cate Blanchett and Tessa Thompson. 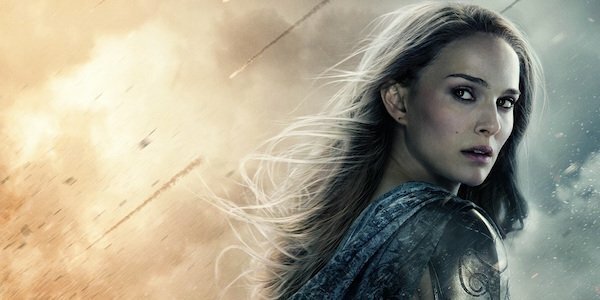 However, what Thor: Ragnarok is notably missing is Jane Foster, played by Natalie Portman. We’ve previously reported that Portman may not be returning for the threequel, but now we’ve got confirmation and a logical reason why. Speaking with the Empire Film Podcast, Kevin Feige was able to drop some spoilery info about Thor’s next big space adventure. Feige was asked about the absence of Natalie Portman, and if he was able to confirm that she wouldn’t be in the film. Feige revealed that it’ll be mostly explained in the film, but a big reason why is that Thor won’t be spending much time on Earth this time around. I can confirm that, yes. There are only a couple of scenes on Earth in this movie. 80 to 90 percent takes place in the cosmos. So, at least part of the reason is that Thor is out in space, and the movie likely doesn’t have much time for any of the Earth crew of supporting characters. That’s understandable, and frankly, I’d rather see Thor bro-ing out in space with the Hulk than going to brunch on Earth with his girlfriend. The Earth element was necessary for the first Thor, but it’s arguably the weakest element in Thor: The Dark World, with Jane’s two-year long pining for Thor, Darcy’s intern, and Selvig’s crazy underpants shenanigans. You want to see more of the magical floating city in space, not the intern of the intern. More cosmic world building is what the doctor ordered. That being said, it is a little disconcerting that Thor and Jane’s romance, a big part of the films, will be settled off screen. Maybe that just reflects how poorly that romance was represented; we don’t even need to actually see it end. Natalie Portman was a big part of the supporting cast, but admittedly she never really added much; her character’s arc is almost entirely dependent on liking Thor. This is not exactly a strong character trait and, if the behind-the-scenes drama is to be believed, Portman wasn’t a fan of it either. It’s better to just let her make a film she wants to make than have her phone it in for another Thor movie. All in all, Thor: Ragnarok is shaping up to be an exciting movie. It’s got a Hulk, a great cast, and a cool road movie premise. Thor: Ragnarok hits theaters November 3, 2017. Out of curiosity, is anyone sad to see Jane go? I’m a little indifferent, but I’m excited to see how it plays out with Tessa Thompson (who might be playing Valkyrie).